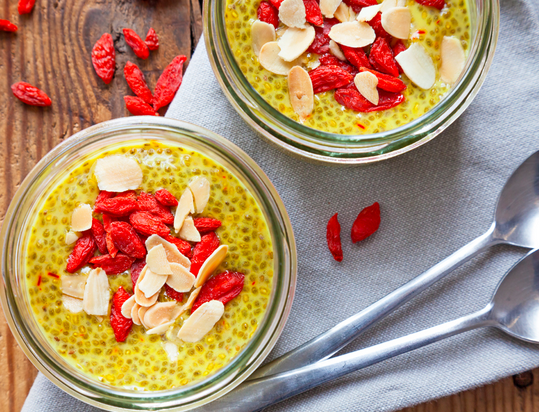 Mix chia seeds, coconut milk, saffron and vanilla powder. Let sit for 10 minutes. Stir and put in the fridge for at least one hour. Top with MÜSLI CHUNKY and fresh berries before serving.